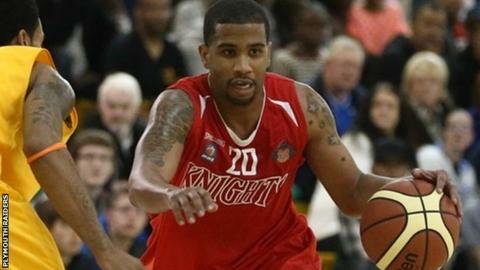 Plymouth Raiders have added Birmingham Knights guard Brent Benson for the 2014-15 BBL season. The 28-year-old American was the BBL's second-highest points scorer last season, averaging 23.1 points per game. The former Texas State man has also played for Springfield Armor in the NBA Development League as well as for Polish side Asseco Prokem. "I'm really happy to have got Brent signed early," said Raiders head coach Jay Marriott. "He has spent a season being the focal point of every team's defence and still been able to produce at a very high level. "His desire to come to Plymouth and his commitment to bringing winning ways to the city were what really stood out for me. "He comes with some great experience in basketball and a good understanding of what I'm trying to do with the team this coming season." "The idea is for him to play alongside Josh Wilcher, where both players can handle the ball, both can play off the ball and it will give a real dynamic feel to the team's back court. "Brent is a player that can bring some magic to the table when we need a vital basket. He's coming in with a real chip on his shoulder and a desire to prove to the BBL that he can play on a winning team."